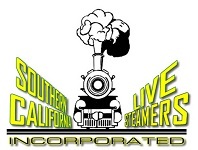 Gallery | Southern California Live Steamers, Inc. Thank you for the discount on our facility signs and safety labels. Copyright © 2019, Southern California Live Steamers, Inc.